Few behavioral health provider organizations can deliver the wisdom we have gained through 122 years of service. Volunteers of America's Behavioral Health Services imbues each of our staff with that wisdom so that they, too, can rely on it in their day-to-day work. This is what our professionals deliver every day, to every single life we serve. Our staff is unique in another way: Our work is not a job, but a calling. As we work in communities across the country, we are driven by a passionate commitment to uplift the lives of our most vulnerable neighbors. We see vulnerability as not merely a product of poverty or disease, but as challenging circumstances that can touch all lives – and often do. Volunteers of America's Behavioral Health Services uses a multidisciplinary team approach, so clients benefit from the combined expertise of psychiatrists, psychologists, licensed professional counselors, social workers, residential program aides and case managers. 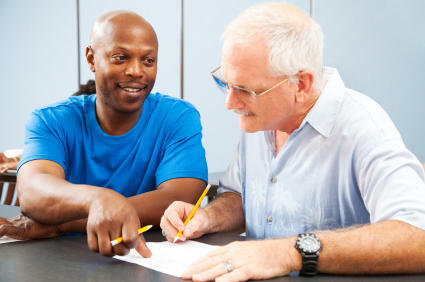 All staff have the necessary training, education, licences and/or certification, and experience to work empathetically and effectively with the tremendous range of populations we serve, whether the issue is treating substance use disorders or securing permanent supportive housing for a person with a serious mental illness. Our staff know and understand the issues confronting the people we serve, and bring a rare depth of understanding, sensitivity and wisdom born of long experience to each person and family they help.